Cahir Castle, one of the best preserved castles in Ireland, located at Cahir in County Tipperary, was said to be the most impregnable medieval Irish castle. It was built by the Butler family after they were granted this area in 1375 and held out for six hundred years. During this time, it was taken by force only once. 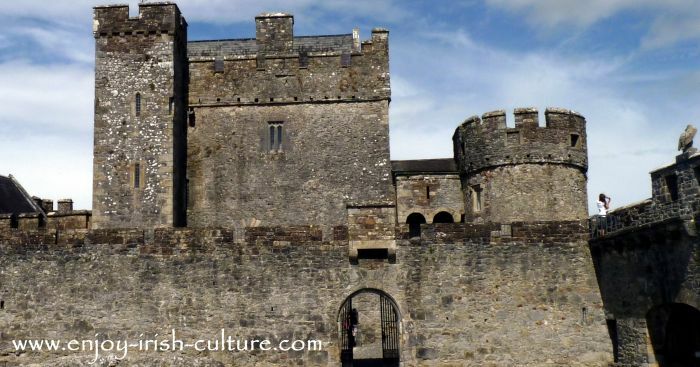 On this page I will talk about what made Cahir Castle so safe. First of all, the safest medieval castle in Ireland is built on the site of an ancient fortification. The Irish word ‘cathair’ means stone fort. The site was cleverly chosen by the ancients. You are looking at an elevated and well-defended place on an island in the river Suir. Most likely, the fort was dismantled, and stones re-used in constructing the castle. Secondly, the castle is built on top of a huge rock formation in order to prevent it from being undermined by potential attackers. See the pretty up and down structure on top of the castle walls in the photos above and below? These castle walls are crenelated. Crenelations provide protection to defending archers to while shooting. To build a castle you had to have a license from the crown to ‘crenelate’. I would liken this license to today's concept of planning permission. It ensured that castles were only built by those loyal to the king. The tops of the defensive walls around Cahir Castle have so called machicolations above gates and doorways. See them in the photo above. Machicolations are openings at the bottom of battlements or at the bottom of crenelations in defensive walls. These were used in the same way as ‘murdering holes’- the defenders would throw down (right size) rocks or hot liquids to ward off the enemy. Loop windows: There are arrow loops in the castle wall, which are narrow slits splaying towards the inside. They allow two archers to shoot in tandem and they also protect them from incoming arrows. Cahir Castle has a very strong batter wall all around. A batter wall is a wall that is much thicker at the bottom than at the top. A batter was a typical feature used a lot in the castles in Ireland. What could it possibly be useful for, you ask? The batter prevents attackers from undermining the castle walls. But it has another function as well. When rocks are thrown from the machicolations and they land on the batter, what happens? You are right, they will be deflected towards the attacker. Clever design? We think so. 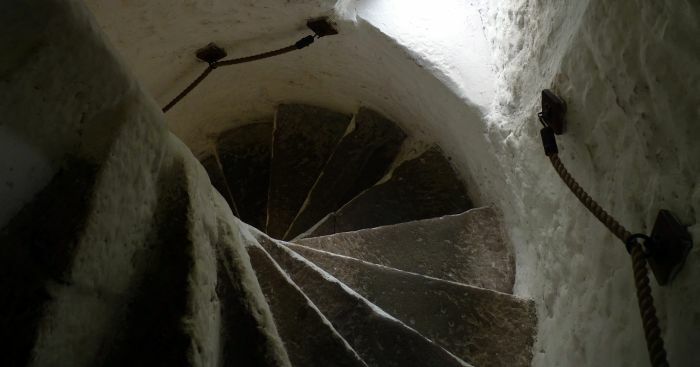 Low doors and narrow passages through hallways and circular stairways were part of the medieval defence system making it much more awkward for attackers to get around while swinging a sword. There were ‘stumble steps’ built into the hallways meant to trip up attackers who wouldn’t know where these were located. The inner courtyard, which housed the family and their immediate servants was protected by another layer of defence. To get from the outer into the inner courtyard, first you had to pass a portcullis- a heavy wooden gate with spikes at the bottom which is operated by a huge mechanism from a room inside and could be let down within seconds. 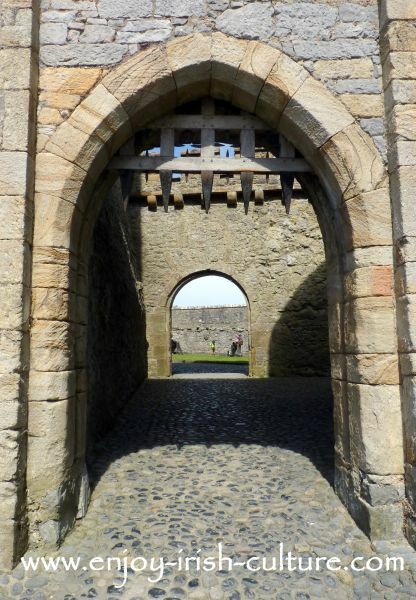 There are only three working portcullis left in castles in Ireland, and Cahir has one of those! After the portcullis, there was a long passage that invaders would have had to cross where they could be easily trapped and assaulted from above in a surprise attack- the so called trapping area. The portcullis at Cahir Castle. 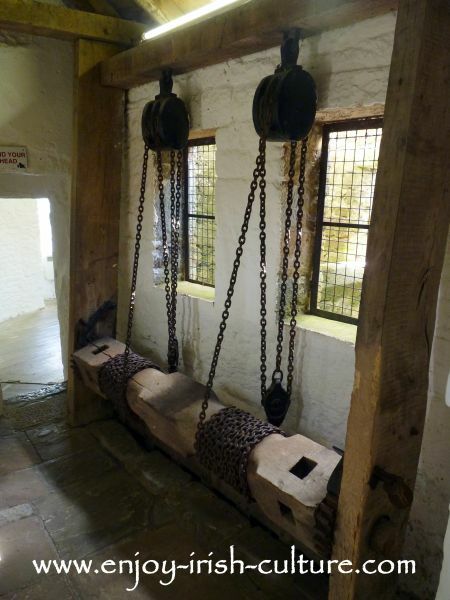 The mechanism that operates the portcullis. 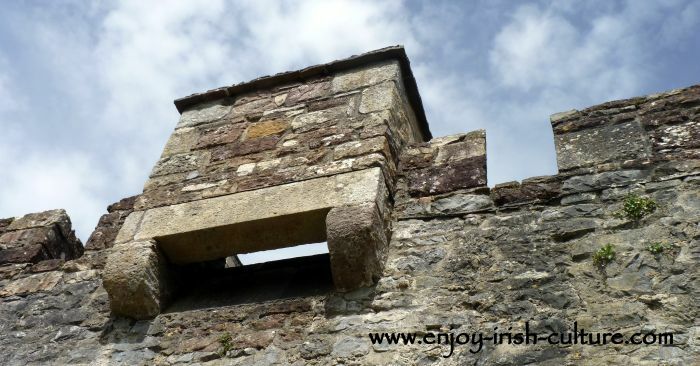 The oubliette: Cahir Castle had the obligatory oubliette, featuring in most castles in Ireland. An oubliette was a medieval prison, a dark badly ventilated room which could only be accessed through a hole in the ceiling. 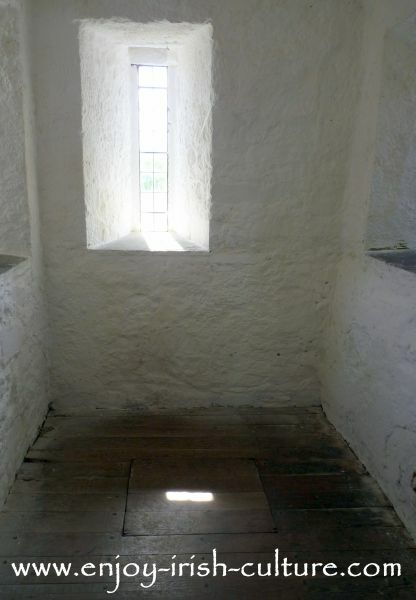 If you were arrested while trying to invade Cahir Castle, the light shining through this narrow loop window might likely be the last light you'd ever see before being dropped through the trap door in the floor, and forgotten about. Imagine the sound of the heavy wooden door closing- for good.